Saint Mary School, Swormville, is honored to once again host the Annual WNY Diocesan Art Exhibition on Monday, May 6th from 6:30 – 8:00 P.M. This year’s event titled: “Celebrating Budding Artists…Blooming in Faith”, will include over twenty area Catholic elementary and high schools showcasing over 400 individual art creations in support of the visual arts. Students will submit 2- and 3-dimensional art, along with Living Art creations. Living Art is a live re-enactment of a painting by students. Media displayed will include: pencil, charcoal, clay, watercolor, oil, weavings, etc. St. Mary School Band members and musical ensembles will provide music throughout the school that evening, and there will be an opportunity for all who attend to build their own “Edible Art,” an ice cream treat with all the extras! 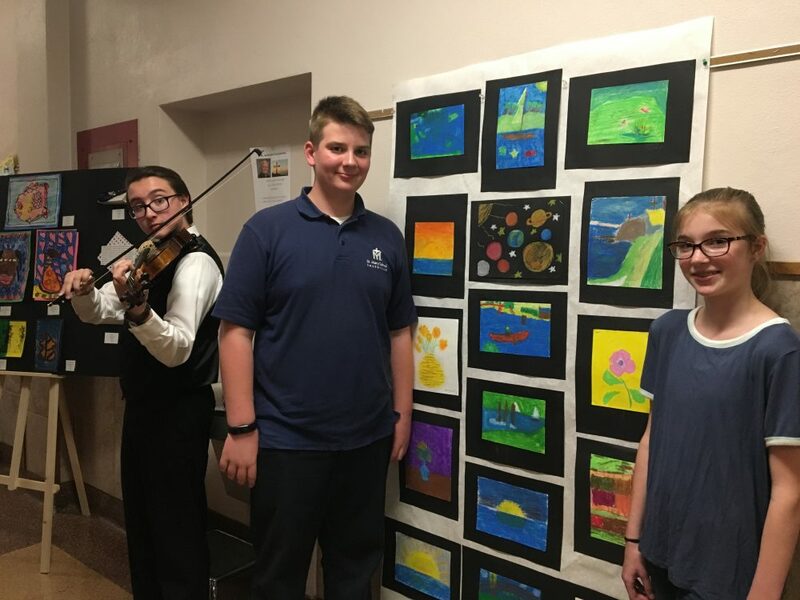 The event, organized by Saint Mary’s Art teacher, Mrs. Karen Genovese, is a wonderful collaboration and celebration of our local youth’s talent and the focus that Catholic schools place on the arts. If you have a “budding artist” in your family, please join us on May 6th. This event is open to all, and admission is absolutely free! St. Mary School is located at 6919 Transit Road, East Amherst.